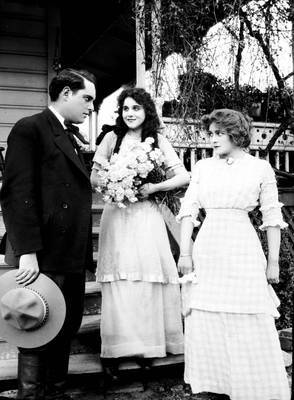 Carl Louis Gregory production still of scene in Thanhouser Company silent movie filmed in California. Outside a house are William Russell [? ], Peggy Reid, and Muriel Ostriche.